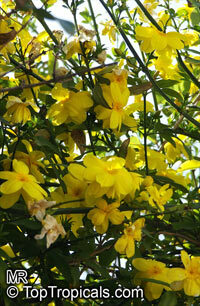 One of the best jasmines for the Deep South, especially on sandy soils. 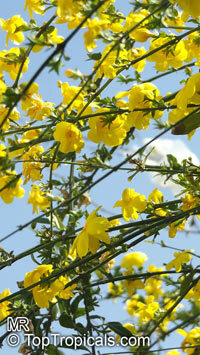 This is one of the most valuable plants in landscaping. 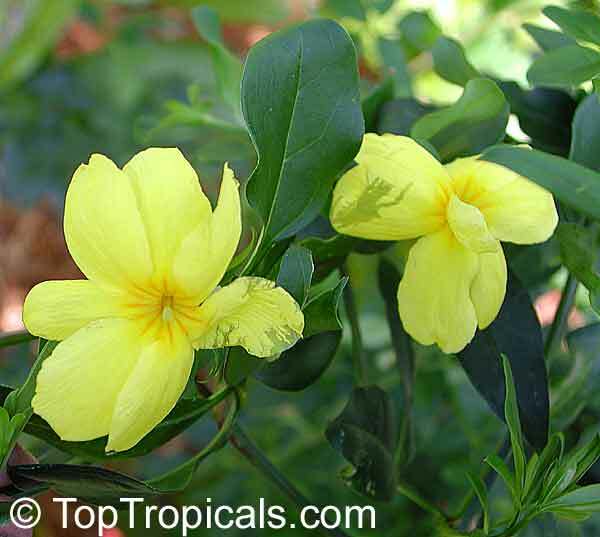 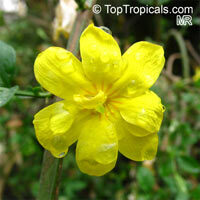 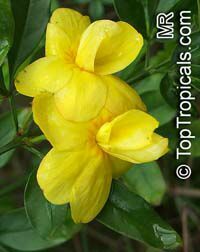 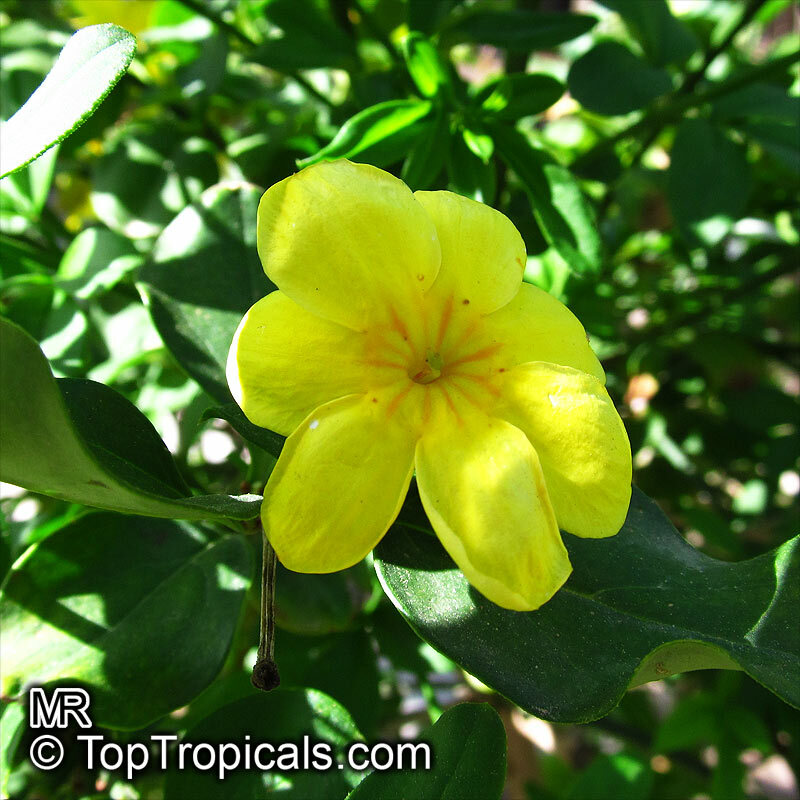 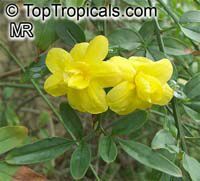 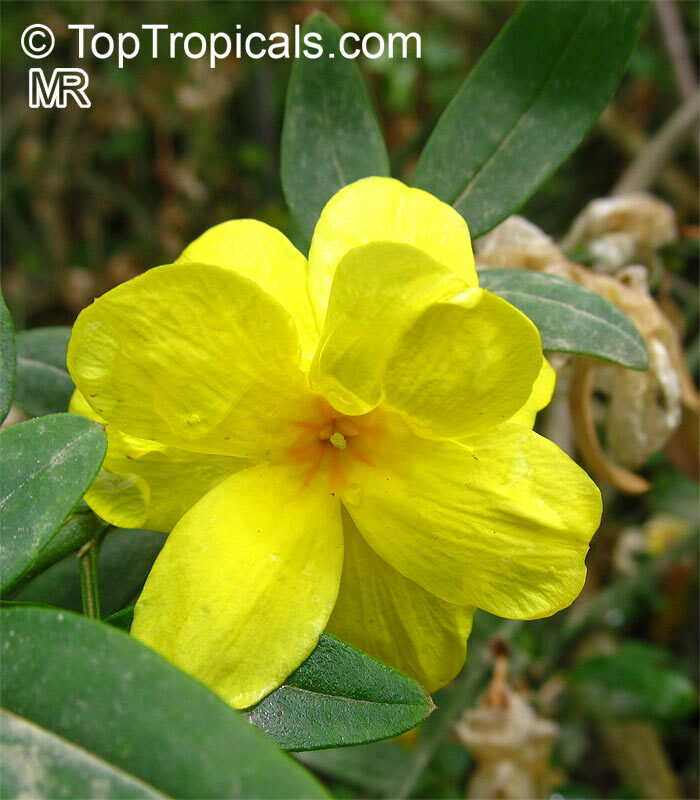 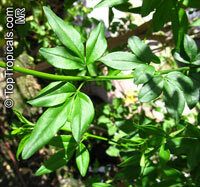 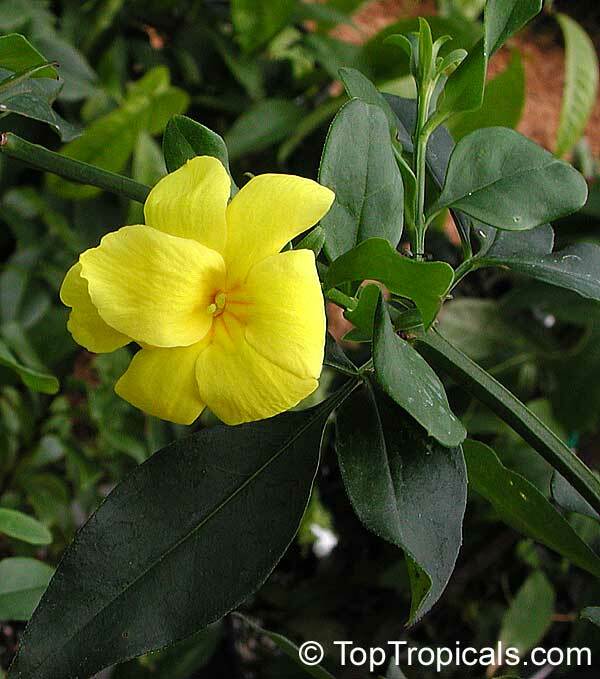 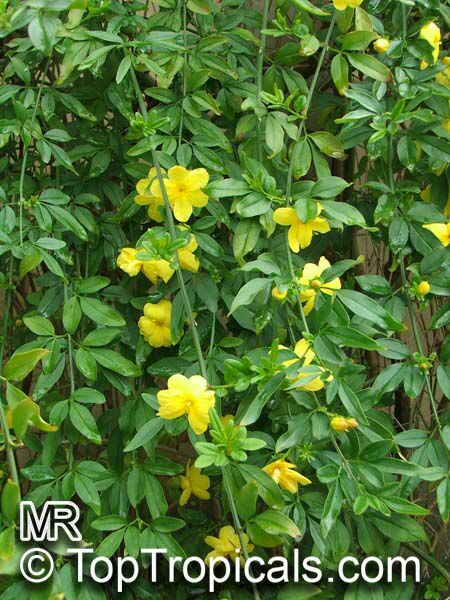 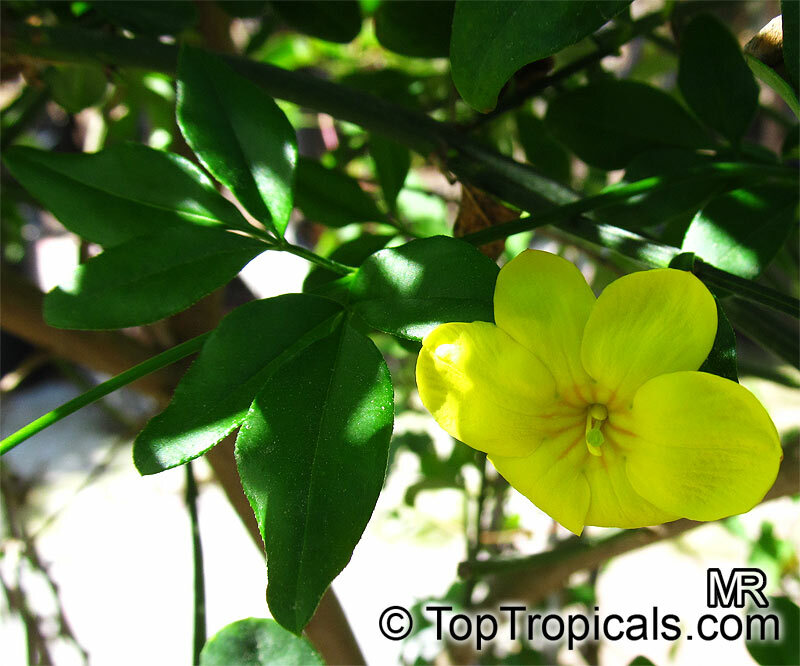 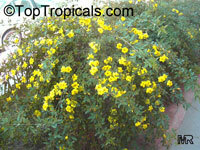 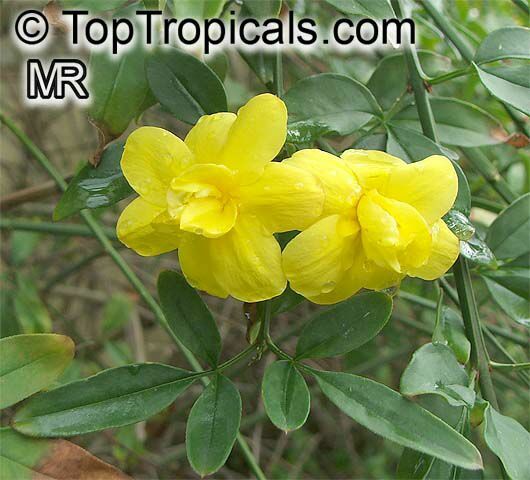 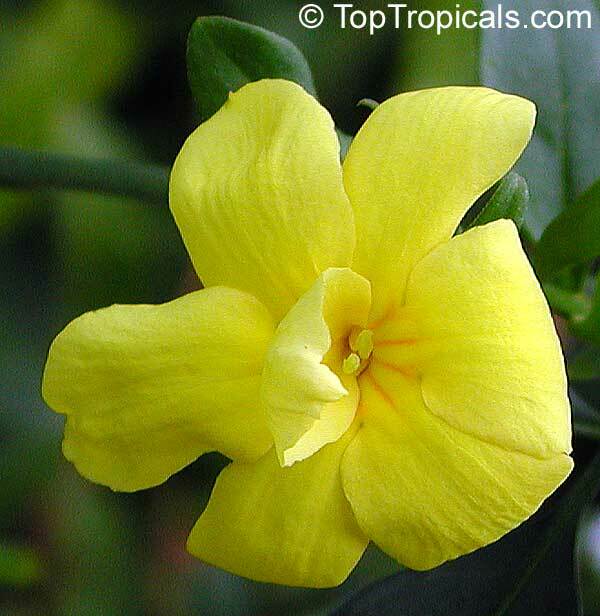 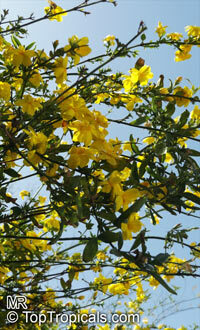 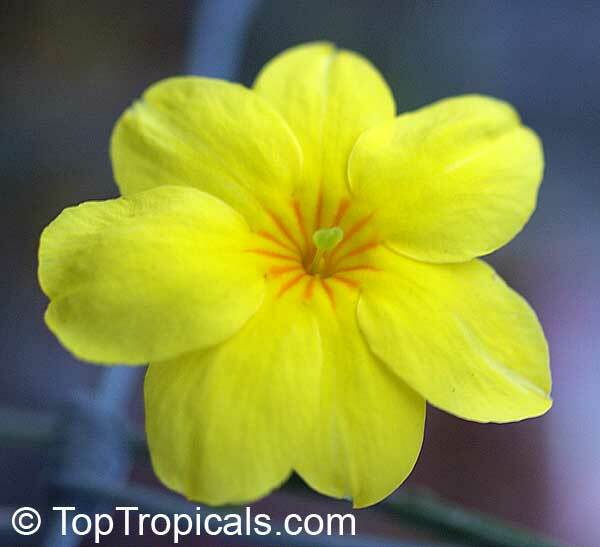 It grows wonderfully in mass plantings, very fast growing but not invasive and well-contollable by pruning. 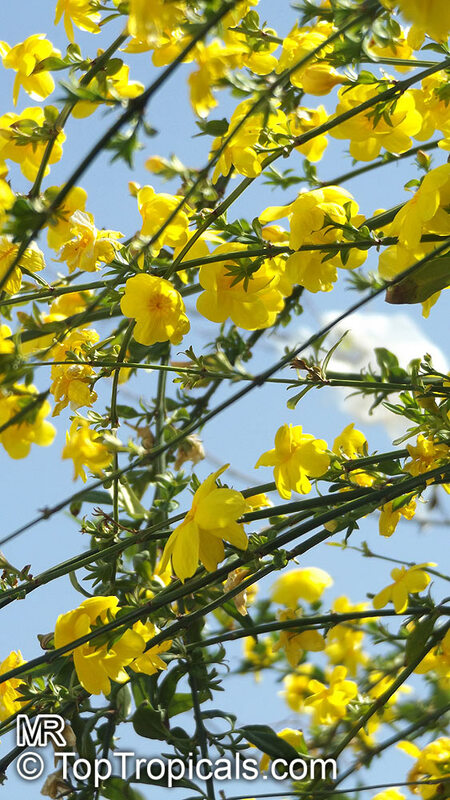 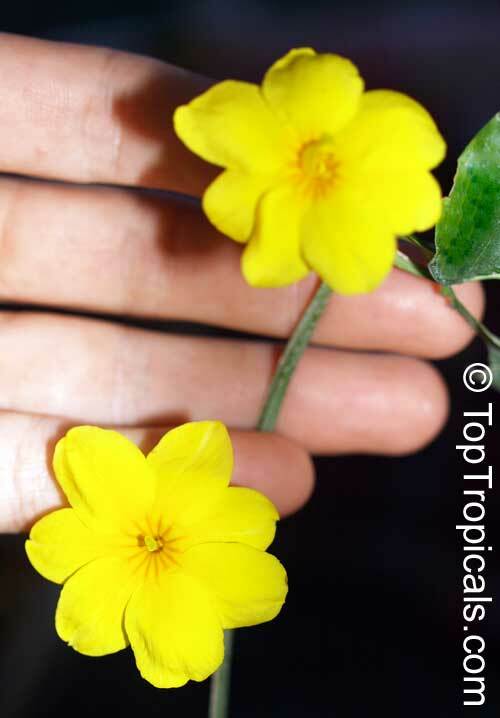 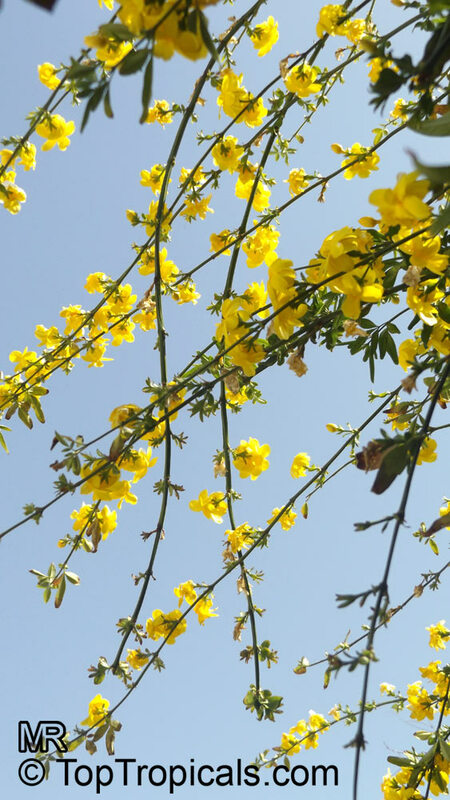 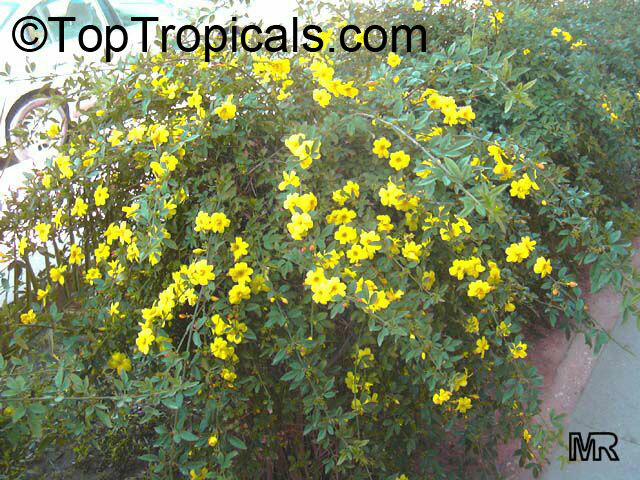 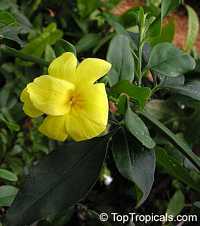 The more you cut it, the bushier it gets, forming a nice dense cloud of dark green foliage with yellow double flowers scattered like a bright cover. 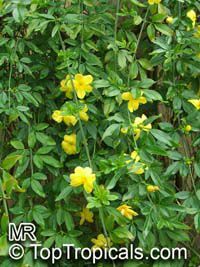 It is rambling, open evergreen shrub with long, slender, arching stems that will climb like a sprawling vine if given support. 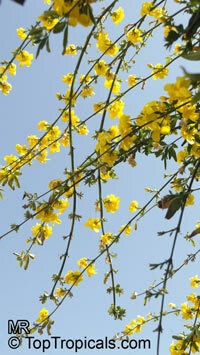 The flowers are borne in early spring and sporadically into summer. They are semidouble with 6-10 petals, almost 2" across, and slightly fragrant at night. 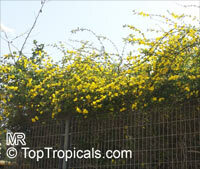 Use it to trail over fences or walls, to cover unwanted views and ugly corners. 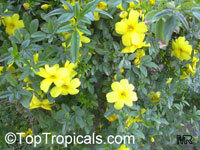 It is spectacular in masses and adds interest to mixed shrub hedges and screens. 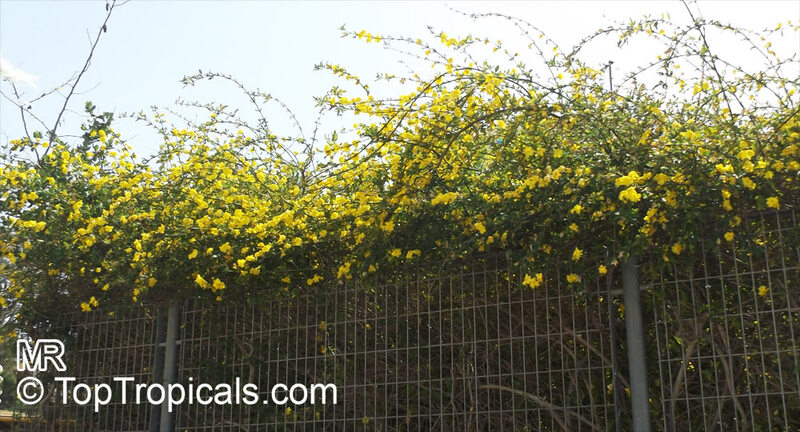 Use it for erosion control on banks or slopes, the long trailing canelike stems will take root where they touch the ground. 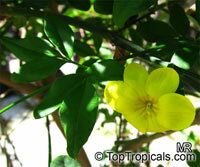 Blooms on the previous season's growth, so prune soon after flowering. 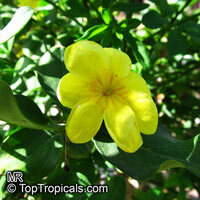 Excellent for cool greenhouse or outdoors in mild climates.